Principles of Cancer Biology, is an engaging book focused on providing students with a “big picture” view of cancer. Author Lewis Kleinsmith has written an instructional text focusing on key concepts for both students and a general audience. 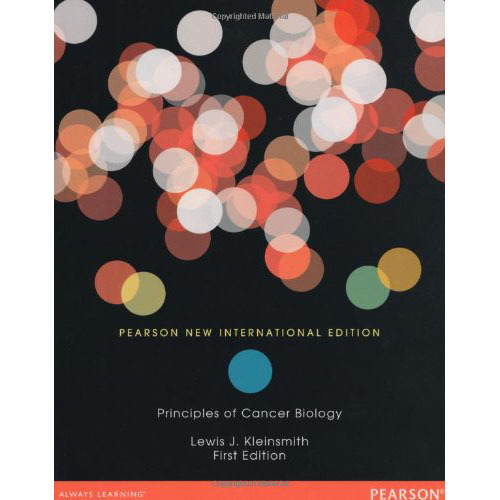 For those instructors who wish to delve into particular aspects of cancer biology in greater depth, each chapter contains a list of suggested readings that expand the detail as needed. The text also emphasizes the scientific evidence that underlies cancer biology, and teaches students to think critically about this evidence- as there are constantly new “breakthroughs” and reports in this field. For students who need the review, there are brief reviews of several topics related to DNA replication and repair, cell division, cell signaling, and inheritance patterns in chapters where these subjects are relevant. By including these reviews, the text is both accessible and engaging to a broad audience of readers who are studying cancer biology for the first time, as well as an interested general audience.